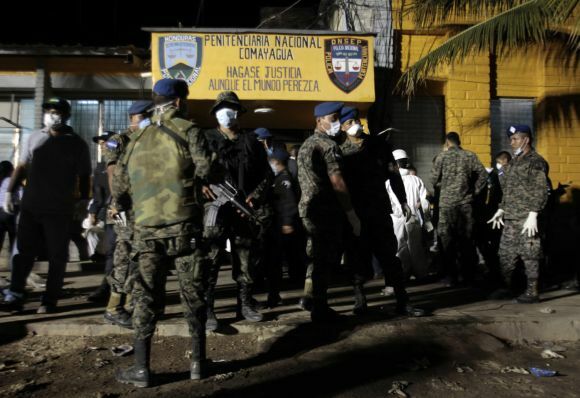 In one of the world's worst incidents of prison fire, a massive blaze swept through an overcrowded jail in Honduras, killing at least 350 inmates and leaving officials struggling to quell growing public outrage at the treatment of victims and their families, reports stated. 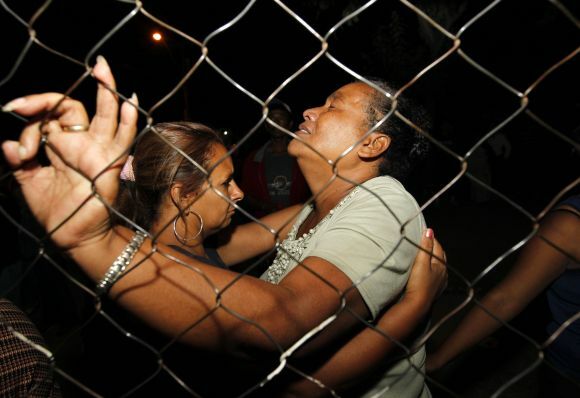 Police said 100 of the 853 inhabitants of Comayagua prison, 75 miles north of the capital Tegucigalpa, were still unaccounted for and 357 had been confirmed dead after the blaze, which began late on Tuesday night and lasted for about an hour. Click here for more Realtime News! Many victims were trapped in their cells and either burned or suffocated. "We heard screaming from the people who caught fire," said one survivor. "We had to push up roof panels to get out," a survivor told The Independent. Relatives of inmates besieged the scene Wednesday morning. But with most corpses burned beyond recognition and hospitals overflowing with survivors, they struggled to get information about the whereabouts of loved ones. Hector Meija, a police chief, read out the names of 457 survivors, but that was not enough to prevent frustrations from overflowing. At one point, the crowd outside the perimeter fence threw rocks at riot police. Officers fired shots into the air and released tear gas, The Independent reported. The cause of the fire remains unconfirmed, though investigators said they believed it resulted either from an electrical fault, or arson. "We have two hypotheses," said Daniel Orellana, the head of the prison system said. Orellana denied reports that the fire broke out during a riot. However, some news outlets claimed emergency crews attempting to tackle the blaze were initially forced to withdraw after shots were fired at them, reports indicated. 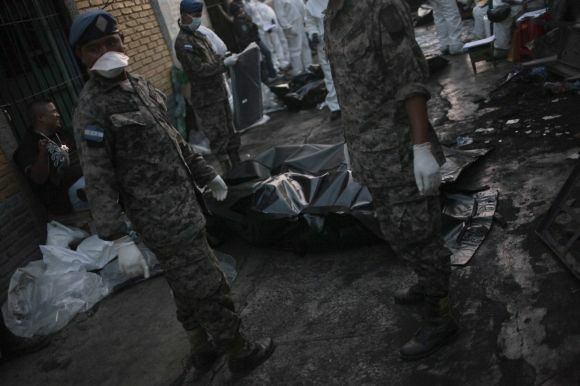 Honduras President Porfirio Lobo promised a "full and transparent" investigation into what he called a "lamentable and unacceptable" tragedy. Local and national prison authorities are to be suspended until it is concluded.